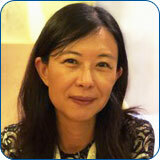 RoleLiyun's role at TII is as a mass cytometry specialist. She is currently in charge of CyTOF, Including machine operation, maintenance and its related experiments. Currently working onTechnique support to keep CyTOF in function. Scientific support in CyTOF related project designation and experiments planning. Long term wish todevelop new applications of CyTOF in translational medicine research.